Dentures can be partial or full. Partial dentures can replace one or more missing teeth. Dentures can be fitted straight after teeth have been taken out so that no-one knows you have had teeth removed. A partial denture is the easiest way of replacing missing teeth. A partial denture is a plate with false teeth attached to it. The plate is made of either plastic, or metal and plastic, usually with clips to keep it in place. Sometimes the retaining clips can be visible when you smile or open your mouth, but this depends on the position of the false teeth and clips. We will be able to advise you on the range and suitability of the different types of plastic teeth available. 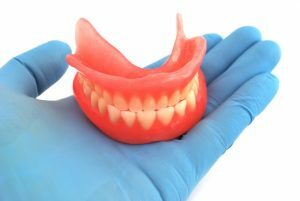 Dentures which have teeth designed to give a more ‘natural’ appearance are available privately.